Every hero needs a sidekick. Batman has Robin. Sherlock Holmes has Dr. Watson. Even Pat Sajak has Vanna White. It’s important to have someone at your side who can lend you a hand without stealing your spotlight. And what’s the point in cracking clever one liners if there’s no one around to hear them? Robin Hood was no exception to this rule. He cavorted around with Friar Tuck, the bald, jovial monk. Legend has it that Friar Tuck was expelled from his abbey because of his hot temper and his disrespect for authority, something we wholly sympathize with. 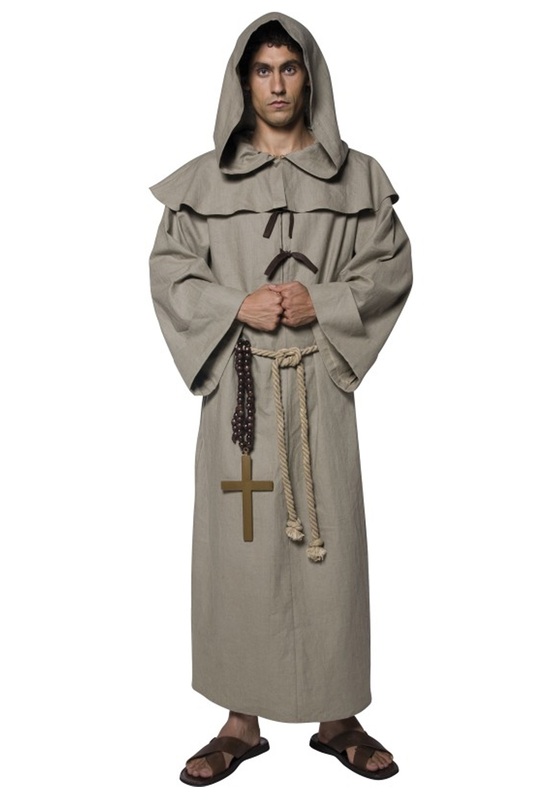 The friar’s love of good wine, however, quickly earned him a place as chaplain of the famed archer’s band of merry men. Having the best booze is a very marketable job skill when you’re working with brigands. In recent years Friar Tuck has been portrayed by many great actors including Mel Brooks and Porky Pig. 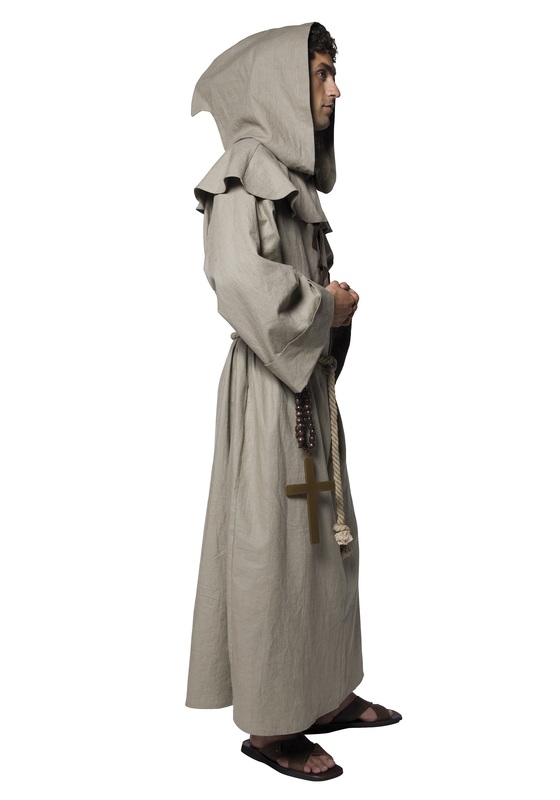 This is good company to keep, so why not dress up as the renegade monk yourself? 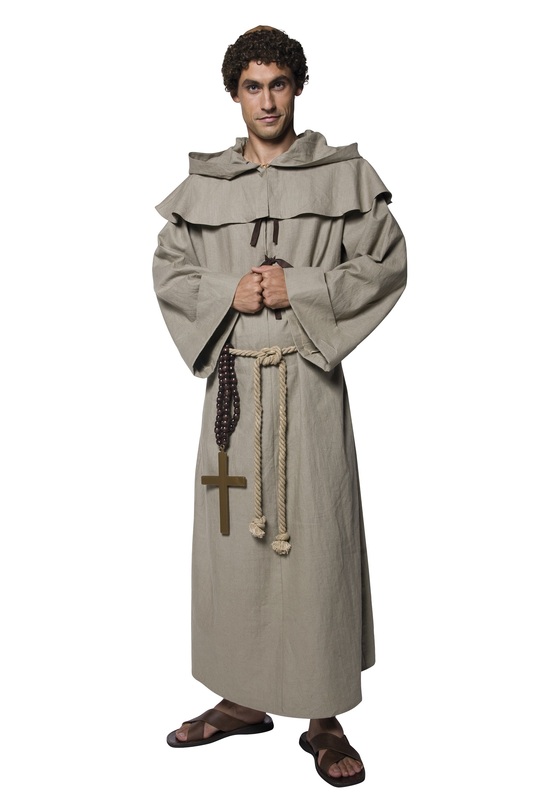 Our Friar Tuck costume is made from pure polyester, which is much more comfortable than the itchy burlap robes traditionally worn in medieval times. The hood is ideal for moving around incognito in evil sheriff controlled territory, and the cross and rosary show just who a friar really works for at the end of the day. Man, you’ll be so merry in this costume, it’s going to be ridiculous!